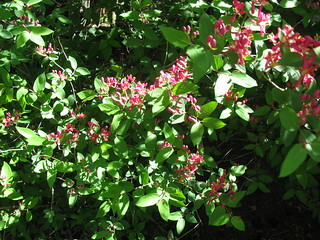 It's a deciduous shrub, 5 to 7 feet tall, with pink flowers, as pictured, in the spring. The flowers resemble azalea blossoms, only smaller, about 1 inch across, so it might be a member of the azalea family? Not particularly interesting but I'm curious about what it is. Growing in northeastern Illinois. Thanks for your help!